*Active Skills For Reading is an exciting reading series that uses thematically organized nonfiction reading passages to teach reading comprehension and vocabulary skills. 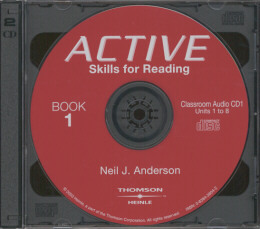 Written by reading specialist Neil Anderson, this innovative series uses an Active reading methodology to help learners become more confident, independent-and-active-readers of English.lanations are clear and well balanced, and special attention has been paid to those points which are the most common source of errors. Each point on the theory page is lettered to enable easy reference when working on the exercises.